Smart Med Canada is your Canadian pharmacy source for affordable Canada drugs. We feature brand name and generic medicatons at discount prices like Neurontin, Zocor, Pravachol, Celexa, Lamisil, and many more Canadian drugs. Canadian Pharmacy Neurontin Zocor Pravachol Canada Drugs Celexa Lamisil Canadian Drug StoreIt is well known the skyrocketing prices some patients pay for prescription drugs. At Smart Med Canada we offer convenient prescription mail order services to patients who can no longer afford to pay exorbitant drug prices. 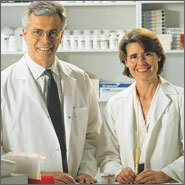 Through our Canadian pharmacy, Smart Med Canada delivers professional and friendly prescription services. All of the medications we carry are approved by Health Canada’s Health Protection Branch (Canada’s regulatory body, equivalent to the U.S. FDA). Only quality Canada drugs are delivered to our customer’s door. At Smart Med Canada we believe everyone should be within reach of safe and affordable Canadian drugs. Thank you for visiting Smart Med Canada – your Canadian pharmacy choice for affordable Canada drugs. We offer cholesterol drugs such as Lipitor, Zocor, Zetia (brand name Ezetrol in Canada), and Pravachol. Canada has generic Zocor and Pravachol. We also offer epileptic drugs Neurontin and Lamictal both of which are available in generic forms in Canada. Common anti-depressant drugs Celexa, Zoloft, Wellbutrin, and Prozac can also be purchased but keep in mind that even brand name Zoloft is a capsule in Canada rather than the tablet form. Generic Celexa has recently been released in Canada. Generic Lamisil is also available at huge savings versus brand name prices. For pain therapy, Celebrex is available in identical form. All prescription drugs from our Canadian drug store require a prescription from your physician and we can only ship up to a 100 day personal use supply. To get started and find your Canada drugs, use our A-Z search.